Growing up in a family of devoted hunters and anglers, Jim learned to respect and protect the natural environment while roaming the mountains and valleys of northern California. After two years at UC Irvine, he joined Teacher Corps which sent him to Norfolk, VA. There he worked as a Student Teacher at inner-city schools while attending classes at Norfolk State University. During those years, he volunteered as a youth counselor, which led to a job as a Juvenile Probation Officer after graduation. In 1974, Jim returned to California with his wife-to-be, Marlene. As a young family, they were chosen to participate in the Urban Homesteading program which allowed them to purchase their first home in Oakland. Jim joined the Bell System/AT&T in 1979 where he progressed through various assignments to become a National Account Manager. Later in his career, as a Director of Global Project Management, his team managed large/complex network deployments including Capital Projects for Royal Dutch Shell. In 2000, Jim and Marlene left the Bay Area. They moved to Lincoln in 2009 after some years in Sacramento and Nevada. Now having retired, and able to explore their new home, they have quickly learned to appreciate the open spaces and hiking trails along Auburn Ravine. It was Marlene who spotted their first salmon there in 2010. Later that year, she also caught a glimpse of a rare Pacific Lamprey. After doing volunteer work for other organizations concerned with the preservation of wildlife, and coordinating a Citizen Science Program along Auburn Ravine, Jim is now a Board Member and President of Friends of Auburn Ravine which was formed in 2016. After serving four years in the US Navy (1966-1970), Heath graduated from Santa Clara University with a dual major in Accounting and Marketing. After working in finance at Syntex Laboratories in Palo Alto, Heath and his wife, Gail, purchased a small wholesale hardware company in Campbell that grew substantially over their 14 years of ownership. After selling that business, Heath became a Manufacturer’s Representative for 10 years and then went to work for Konica Minolta, eventually becoming the National Sales Manager for their Instrument Systems Division. During Heath’s working career (and since retiring) he went on many backpacking trips in the Sierra and soon became an avid fly fisher. He often speaks about how rewarding it was to serve as Conservation Chair for three years with Granite Bay Flycasters. Heath is the Treasurer of Friends of Auburn Ravine (FAR) and lives in Rocklin. In addition to volunteering with FAR, Heath also spends many hours volunteering with the American Red Cross, and bird watching. 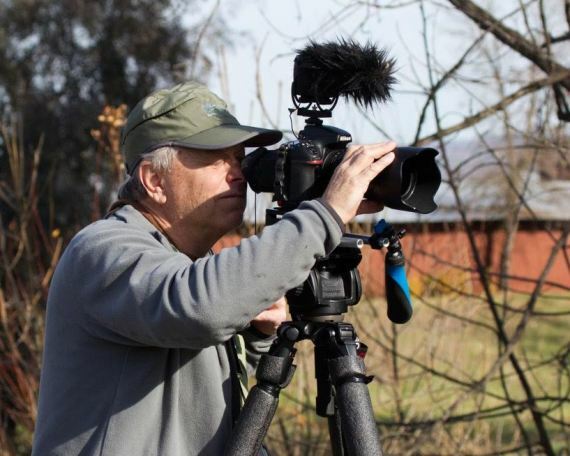 He serves on the Board of Directors for the Sierra Foothills Audubon Society. Steve Hubbard is a writer and filmmaker who specializes in environmentally related topics. His film, “Saving Auburn Ravine,” was an important factor in the struggle over the Hemphill dam on Auburn Ravine Creek. He is the author of two books, “Power to the People,” the history of hydroelectric power in the Sierra Nevada, and “The Legend of Roswell,” an intriguing novel about the early days of the CIA. Steve can’t imagine anything more enjoyable than spending an afternoon fly fishing on a mountain creek. His media projects are dedicated to preserving and protecting the opportunity for future generations to enjoy nature. In his previous career as a telecom executive, he was Director of Engineering for Jones Intercable, Chief Operating Officer for Phoenix Fiberlink, and Chief Executive Officer for Netstream. Steve serves as a Board Member and Secretary of Friends of Auburn Ravine. Brad is an Auburn local, having grown up there and graduated from Colfax High School in 1989. He has always loved the outdoors, and particularly enjoys fly-fishing the rivers of Northern California. 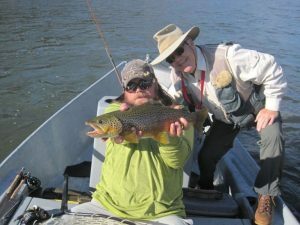 After high school, Brad attended UC Davis where he earned a Bachelor of Science degree in Wildlife and Fisheries Biology. Later, at the University of Montana, he obtained an advanced degree in Aquatic Ecology. In 1998, Brad began working as a professional fisheries biologist with the California Department of Fish and Game. 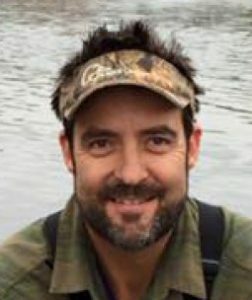 After moving back to Auburn in 2004, Brad left State service and began working with Cramer Fish Sciences, a respected independent fisheries scientific consulting firm with offices throughout the Pacific Northwest. Brad was promoted to President of Cramer Fish Sciences in 2010, and he continues to lead the firm from his Auburn office. During his tenure, Cramer Fish Sciences has transitioned to a 100% employee owned corporation, continued to grow in work and professional reputation, and has opened the first-ever private genetics laboratory dedicated to providing environmental services. Brad has worked on numerous fisheries projects throughout Central Valley tributaries, and has authored numerous fisheries reports, and peer-reviewed publications. Brad is a passionate advocate for the application of science to fisheries conservation and recovery. Through his outstanding work Brad has established strong working relationships and positive rapport with resource agency staff. Brad was previously president of the California-Nevada Chapter of the American Fisheries Society. He is a Board Member with Friends of Auburn Ravine. Though still an enthusiastic fishermen, Brad has taken an interest in upland bird hunting and will often be found in the company of his very handsome English Pointer, “Max”.